This publication represents the results of joint work of German Institute for Adult Education (DIE) and the Institute for International Cooperation of the German Adult Education Association (DVV International) to develop basic international curriculum for training for trainers in accordance with main principles in adult education. The main aim of this initiative was promotion the professionalization of the trainers who are working with adults. Furthermore, the encouragement the knowledge exchange between trainers around the world was important too. The Curriculum globALE based on three pillars: existing programs of training for trainers in adult education taking into account the project experience of DVV International, existing national qualification systems and standards for teachers in adult education, transnational standards of competencies for trainers in adult education, which designed within EU projects. 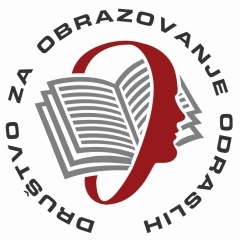 Authors: Suzana Latke, Katarina Popović, Jesko Waikert. Edition in Serbian language: Belgrade, 2014.